The applicants seeking admission to this course must have passed I.Com. / I.Sc. / I. A. with Mathematics and Economies / 10+2 . 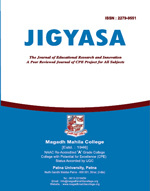 its equivalent examination with a Minimum of 45% marks in aggregate. Admission in B.Com. course shall be made on the basis of Merit List prepared after the written entrance test to be conducted by the college according to the notification of Patna University. Reservation in admission for different categories of candidates will be applicable as per the Patna University rules. Applicants belonging to reserved categories must furnish certificates to this effect from DM/SDO along with their application. The applicant will be required to apply for admission in the prescribed application form to the PRINCIPAL / CO-ORDINATOR, B.Com. Course, M.M. College, Patna-800 001. Application Form and Prospectus can be obtained in person from the office. All correspondence must be addressed to the Co-Ordinator, B.Com. Course, M.M. 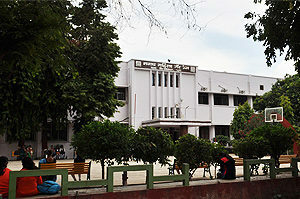 College, Patna-800 001. Examinations in all papers will be conducted by Patna University at the end of each academic session as per the rules and regulations of the University. Examination fee will be charged annually as per the rules. No student shall be allowed to take examination if she does not possess minimum of 75% of attendance. Students will be sent-up for final examination on the basis of attendance and performance in the sent-up test. The students shall abide by the rules and regulations of the college, Any indiscipline on their part shall be punishable. Every student has to participate in at least one extra-curricular activity.